This year we have witnessed the passing of two major scholars of Burke studies: Bernard L. Brock and Leland M. Griffin. The Kenneth Burke Society has recognized the contributions of both men to Burke studies through its Lifetime Achievement Award. 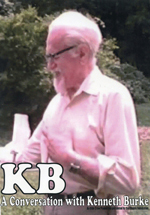 In the previous issue we included a brief remembrance of Professor Brock by Jim Klumpp. Here we remember and honor the contributions of both men with essays by their former students. James W. Chesebro offers his personal remembrances of Dr. Brock and a review of his contributions to rhetorical studies generally and Burke studies particularly. This essay was originally presented as part of a panel remembering Dr. Brock at the Eastern Communication Association Convention in April 2006. Mark Wright considers Dr. Griffin’s contributions to our work in an original essay commissioned by KB Journal.